I've begun a very long and much needed vacation. I don't know how often I'll be posting during this vacation, but there is a good chance it won't be with the same regularity I usually do. So I thought I'd wrap up the year by looking back on what has been a very remarkable year for me . . . don't worry, I'll just hit the highlights. 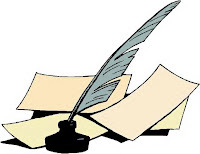 I've wanted to write a novel for years--and I've tried a few times. It isn't as easy as you might think. Most of those earlier attempts are still gathering dust in my file cabinet. But that was about to change. I got an idea for a novel on a long drive home from a meeting in 2009. It was an idea that was brand new for me, and by the time I arrived home, I knew I had something. 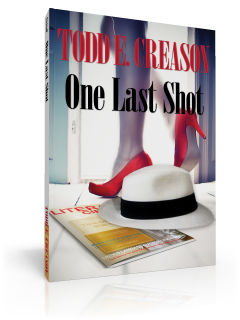 I worked on it all night, and by morning when my wife got up, I was sitting at the kitchen table with a cup of coffee and a rough outline of a novel called One Last Shot. 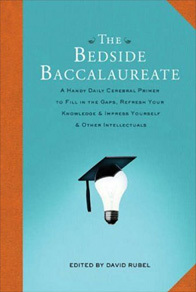 About a year-and-a-half later (Spring 2011) I published it. It became so popular so quickly, that I immediately began a second novel--a follow-up to the first. I'd actually gotten the idea for the second novel while I was editing the first. The second novel, A Shot After Midnight, will be released in Spring of 2012. I finished my term as Worshipful Master at my lodge. I had mixed feelings about it. I enjoyed my time in the East a great deal. Many are relieved when their term as Master is over, but I would have gladly done another year. We did a lot of interesting things the year I was in the East, perhaps my favorite of these events was sponsoring the play "December's Rose" at our lodge, and using the proceeds to help a local family. 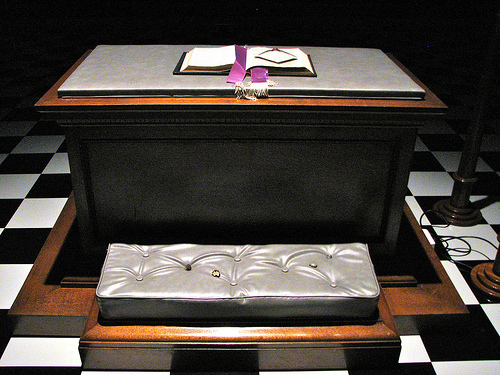 It goes without saying that receiving the 33rd Degree is a once-in-a-lifetime experience. It's not likely I'll ever forget that trip to Chicago in August. Receiving the 33rd Degree is without question one of the greatest honors I've ever received. We had so much fun, we ate some great meals, and made many new friends. It's also the first time Valerie and I had a few days alone since our four-year-old was born (she stayed with her grandparents that week). There are all kinds of pictures of that weekend posted here. You just never know where life is going to take you, but I can honestly say, I certainly never thought I'd be considered for such a great honor. 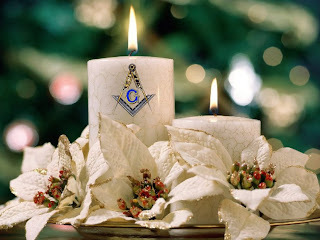 I certainly never dreamed where my writing would lead when I started writing the Famous American Freemasons books back in 2006, but the idea it might one day lead to a white cap certainly never crossed my mind. 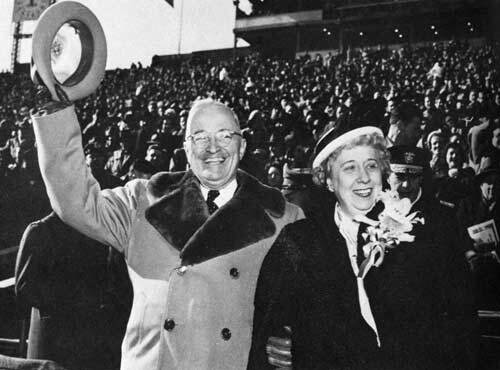 The first weekend of November, I received the last part of that honor--the white cap from the Valley of Danville. As is the tradition in my Valley, Valerie had the priveledge of putting the cap on me (as Katie watched). That guy in the purple hat standing off to the right is the Illustrious James L. Tungate, 33, our valley Active member of the Supreme Council. Jim has become a very good friend of mine, so I asked him to write the introduction of Famous American Freemasons: Volume II, which he did. It was a terrific introduction, and Valerie claims it added a much needed "touch of class" to my books (I don't know what that was supposed to mean). I should also mention that Bro. Tungate received a big honor recently, too--he was elected Grand Secretary General of the Supreme Council of Ancient and Accepted Scottish Rite (NJ). It's a big honor, and much deserved--congrats Bro. Tungate! Our outgoing Grand Master, Richard L. Swaney, gave me and another Masonic writer Brian "Rooster" Cox a unique opportunity at our Grand Lodge's Annual Meeting in Springfield (IL). Grand Master Swaney gave us a table, and for two days, Rooster and I talked to Masons all over the state about our books, about writing, and about publishing. We had a lot of fun doing it, and on the second day, our wives and our kids came and joined us. And we might have been having a bit too much fun--our corner was said to be the noisiest one there. It wasn't all us--we had plenty of help turning that corner of the lobby into a circus. Brian and I went back and worth all weekend, and he even remarked that I shouldn't be surpirsed if he didn't make me a villian in his next book. But be careful, Brian, two can play that game. But it was certainly a fun weekend, and a nice family trip for us. Now this one hasn't happened yet, but we're well on our way. There was a group of local Freemasons that work at the University of Illinois that were getting together every so often for lunch. Sometimes we had five or six, and other times there were just three of us. But we got talking about doing something more with our little unofficial lunch club--maybe use it as a means of networking with other Freemasons in the area, or to use the club to introduce perspective Masons to other Freemasons in a more social setting. So we started meeting more regularly, and inviting more people to join us for these lunches. By our second meeting, we had enough we started thinking about chartering a High Twelve chapter. Well, the state representatives for Illinois High Twelve joined us at our last meeting, and we're well on our way to chartering the Illini High Twelve. And it was a great honor for me to be named the Illini High Twelve's first President! A New Novel Is Coming! 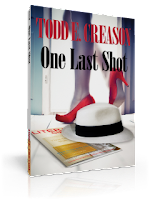 I've been getting a lot of emails asking about when the sequel to One Last Shot will be released. One thing I do plan on finishing during my vacation is my second novel A Shot After Midnight. The first big round of editing is done. I'm working my way through the second edit now, and then there will be one more round, just to catch anything we missed, and to finish fine tuning. 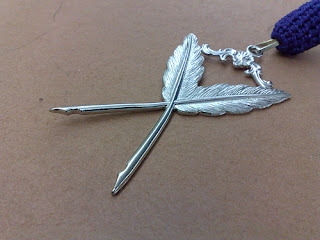 We are right on schedule for a Spring 2012 release. It's looking like possibly April at this point. And this story is a doozey--I think it's even better than the first novel. This is going to be tough year to beat without a doubt, but I plan to get to work on the last volume of the Famous American Freemasons series this year. I'm also planning on working on a few articles and pieces this year--in fact, the first of these will be published soon in The Working Tools Masonic Magazine. And there's another idea for a possible third novel too. We'll just see where this next year takes us. I hope you all have a Merry Christmas, and a Happy New Year! Starting today, I'm on vacation until the 9th of January. 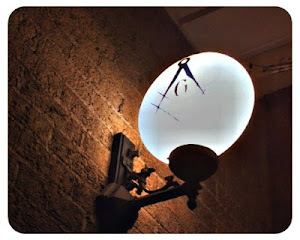 I do plan on continuing to post blogs on The Midnight Freemason, but I may not be posting as frequently as usual. But don't worry, I'll be back to my usual shenanigans after the holidays. I plan on spending a good portion of that free time with my family, and working on the final edits of my new novel A Shot After Midnight due out in the Spring. I hope you all have a safe and happy holiday. A friend of mine sent me this from an old installation ritual--the book it came out of was about a hundred years. I thought it was pretty interesting. I hope you enjoy it. The Office of Master is of great antiquity and respect, and is one of the highest dignities to which we may aspire. Its incumbent, to rule well, should possess and practice several important prerequisites. As a MAN, he should be of proven integrity and irreproachable morals, freed from the dominion of hasty temper and ill-governed passions, of good repute in the world, and practicing, as an example to his Brethren, the cardinal virtues of Temperance, Fortitude, Prudence, and Justice. As a CITIZEN, he should be loyal to his government, obedient to its laws, prompt in the duties he owes to society; and, [should demonstrate] a pattern of fidelity in all social and domestic relations. As a MASON, he should cling to the old landmarks and be sternly opposed to their infringement; be desirous to learn and apt to teach; be prompt to aid and relieve, and be ever mindful that, though elevated for a time above his fellows, he is elevated by them, and should therefore cultivate, everywhere and at all times, the golden tenets of Brotherly Love, Relief, and Truth. 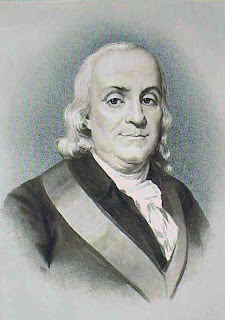 As an OFFICER, he should remember, first of all, that he is an individual Mason, sharing in that respect a common lot with his Brethren, and therefore interested in the welfare of each and all; be devoid of undue ostentation and haughty overbearing; be accessible to all, cultivating the closest friendship and the most unlimited confidence with his associate Officers; be eager to take counsel with his Brethren and ready to give it; be ready to reward good; be devoid of favoritism; and, [be] wholly impartial. Such are some of the most important qualifications the Master should possess and the errors he should avoid. It may be that most, if not all of us, have failed to reach this standard; but, it is attainable, and be it your purpose to reach it, and be a bright and shining example to those who shall come after you. Only in America could a controversy erupt over whether it is appropriate to use a period after Harry Truman's middle name. Harry didn't have a middle name--it's just S. It was apparently a compromise between his parents and it stood for the name of both his maternal grandfather Solomon Young, and his paternal grandfather Anderson Shipp Truman. 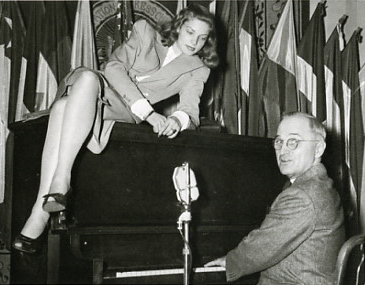 Seems Truman may have created the controvesy himself--possibly in jest. It's possible, because he was well known for his funny stories. He told a group of reporters in 1962 that the period should be omitted. Here we are 50 years later still discussing it. I guess you'd have to give him credit if it was a joke--good one, Mr. President! However, more often than not (both before and after he told those reporters that in 1962), Harry used a period after the S in his signature, although there are a few examples of when he didn't. Maybe he did that just to mess with us. 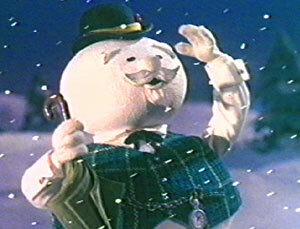 Ever since Rudolph the Red-Nosed Reindeer premiered on NBC in 1964, it has been rumored by conspiracy theorists that "Sam the Snowman" was in fact a Freemason. I mean he did know an awful lot about the story considering he wasn't actually a part of it. As additional evidence, there are also a number of fuzzy photographs of Sam whispering in Rudolph's ear, and a very suspicious handshake between Sam on one of Santa's elves. But it is true--"Sam the Snowman" a.k.a. 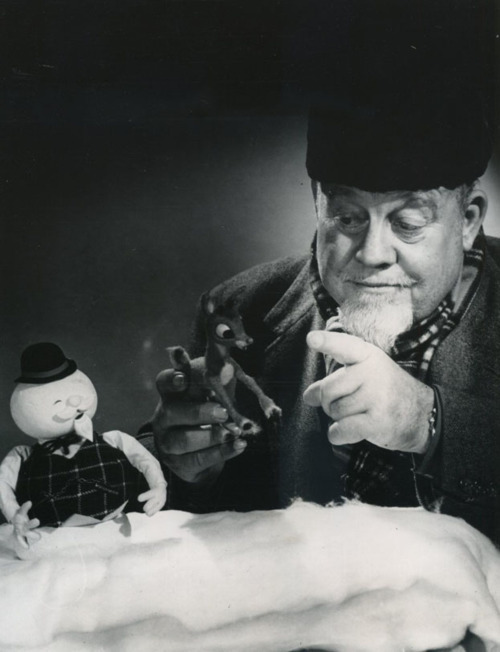 The Illustrious Burle Ives, 33° was indeed a Freemason. And now, boys and girls, you know why nobody knows how Santa delivers all those packages in one night. It's a Masonic secret! Many Americans feel that the true meaning of Christmas has been lost--I'm one of those. The mall parking lot is full, while the church parking lot is empty. We spend a lot of time this time of year trying to think up thoughtful gifts for our friends and family as we rush around at the last minute trying to buy gifts. We all love opening presents on Christmas morning, but more often than not, we get things we like, but don't really need. Isn't there a better way to spend that money? Why not do something different this year? We're two weeks from Christmas. Most of those gifts aren't bought yet. Instead of asking for that sweater, or the socks, or a nice tie, or that fancy coffee maker or Nook I talked about a couple weeks ago, why don't you let your family know you'd rather they take that money they usually spend on you, and donate it to a worthy cause. If you have a favorite charity, let them know what it is, and tell them to write a check to that charity. There are a lot of people in need right now. I've listed a few suggestions below, but there are thousands of worthy causes in need of support--especially at this time of year. If you're one of those lucky individuals that has everything they need, why not give your gift to those who really need it. Isn't that what the spirit of Christmas is really about? Luke's Wings is an organization dedicated to the support of service members who have been wounded in battle. Recognizing the immediate need for families to be with their loved ones at such a difficult time, Luke’s Wings provides families with the means to visit during the service member’s hospitalization and rehabilitation. By purchasing travel agency services and travel tickets for loved ones, Luke’s Wings provides an immediate and invaluable service to the families of our men and women at arms while also helping to encourage and motivate the service member’s recovery. I would add they are trying to raise $100K before Christmas that so that no wounded warrior spends Christmas alone. Check out the website for more information. Shriner's Hospitals The generosity of donors is what enables Shriners Hospitals for Children® to deliver life-changing medical care without placing burden on the families of our patients. There are many ways to give, from participating in one of our many fundraising events throughout the year, to creating a plan for giving. No matter how large or small, every gift to Shriners Hospitals for Children makes a difference in the life of a child. 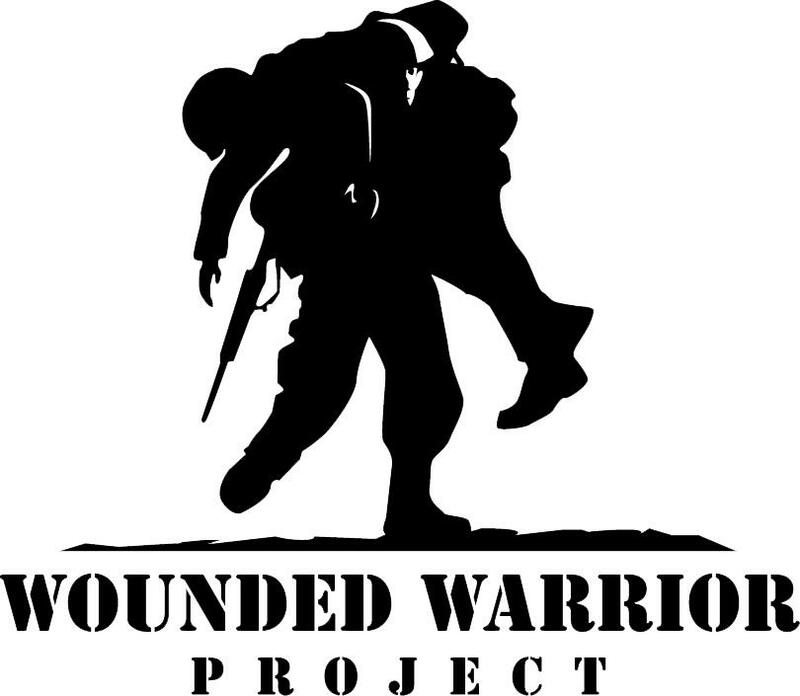 Wounded Warriors Project began when several veterans and friends, moved by stories of the first wounded service members returning home from Afghanistan and Iraq, took action to help others in need. What started as a program to provide comfort items to wounded service members has grown into a complete rehabilitative effort to assist warriors as they recover and transition back to civilian life. Tens of thousands of Wounded Warriors and caregivers receive support each year through WWP programs designed to nurture the mind and body, and encourage economic empowerment and engagement. For animal lovers. 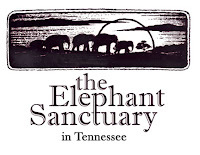 The Elephant Sanctuary in Tennessee was founded in 1995, is the nation's largest natural habitat refuge developed specifically for endangered African and Asian elephants. 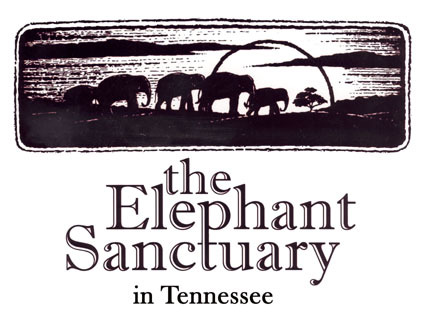 The Sanctuary operates on 2,700 acres in Hohenwald, Tennessee — 85 miles southwest of Nashville. The Elephant Sanctuary exists for two reasons: 1.) To provide a haven for old, sick or needy elephants in a setting of green pastures, dense forests, spring-fed ponds and heated barns for cold winter nights. 2.) To provide education about the crisis facing these social, sensitive, passionately intense, playful, complex, exceedingly intelligent and endangered creatures. A friend and brother Master Mason brought this worthy charity to my attention. They do good work--check out their website. 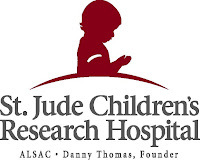 St. Judes Children's Research Hospital was founded by a Master Mason! 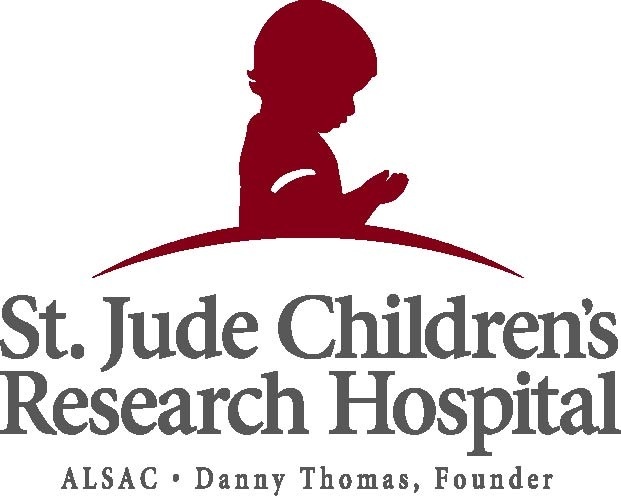 When entertainer Danny Thomas opened the doors to St. Jude Children’s Research Hospital in 1962, he was not just changing the lives of those children who would walk through its doors. He was changing lives across the world. St. Jude Children’s Research Hospital is internationally recognized for its pioneering research and treatment of children with cancer and other catastrophic diseases. Ranked one of the best pediatric cancer hospitals in the country, St. Jude is the first and only National Cancer Institute-designated Comprehensive Cancer Center devoted solely to children. Ask yourself a question--what did you get for Christmas last year. Do you remember everything? I'd be willing to bet you don't. I hope you consider supporting one of these worthy causes, or one in your own community, and ask your friends and family to give to them rather than to you. I read a piece over the weekend on Bro. Steve Harris' blog The One Minute Mason I thought was interesting. It was a little historical footnote that I didn't know, and as Steve's blog entries so often do, it lead me to look into it a bit further. According to what I've read, archaeologist found an ancient lodge room when they were excavating Pompeii in 1896. You have to remember that Pompeii was destroy when Mount Vesuvius erupted in A.D. 79, so we're talking about a long time ago. What archaeologist found was a large mosaic altar top in the center of a rectangular room, much the same way that Masonic altars have always been set up. 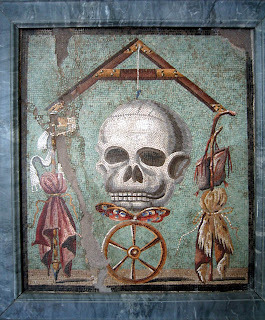 The mosaic was of a remarkable quality, and depicted a large square over a deaths head. There was a plumb line from the angle of the square to the middle point of the crown of the head. Robes were suspended from each of the arms of the square--one red, and one purple. Those are distinctive colors associated with the Royal Arch Degrees. 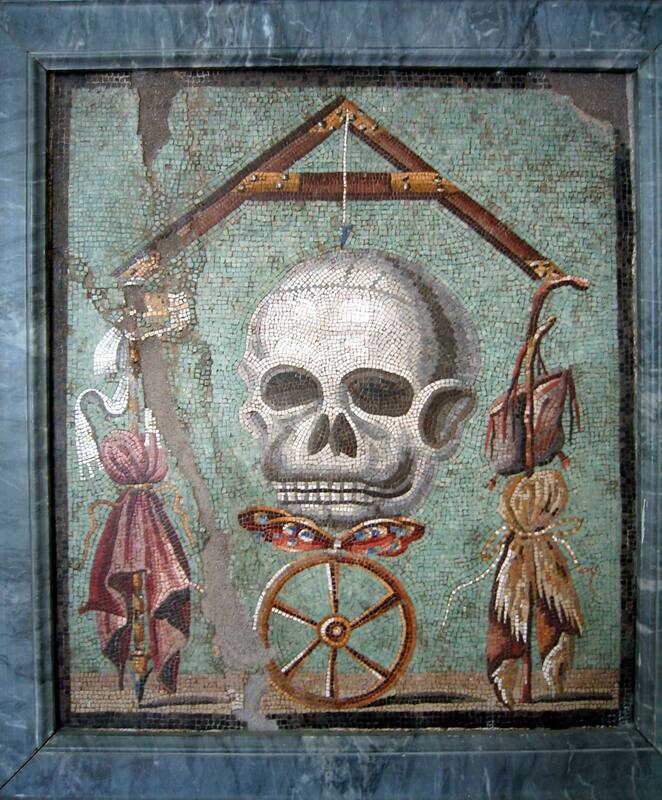 Along with some other well-known Masonic symbology on the mosaic, some working tools were also found in the room. These included a setting maul, trowel, a spade, a small chest (thought to represent the Ark of the Covenant), and a pot of manna. As if all these objects weren't confirmation enough, the inscription over the door of the house read "DIOGENE SEN." That translates to "Diogenes the Mason." So how long has Freemasonry been around? We may never know, but there is certainly evidence that it was alive and well in 79 A.D. I know I've mentioned Bro. Steve Harris' blog The One Minute Mason before. It's become one of my favorite blogs. His posts are short, and more often than not, so interesting and entertaining that I wind up looking further into the subject--as I did today. We all need some of that--something that sparks our curiousity. It's a jewel . . . and an apron, Katie! 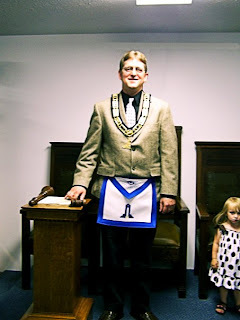 ﻿﻿When I was installed as Senior Warden of my lodge, my daughter Katie (then two) was there. She got to sit with me in the West after I was installed in my chair--you see her? She was being particularly shy and quiet, which is a little out of character for her. "My daddy was just wearing a dress--and a necklace too!" You could have heard a pin drop at McDonalds. I'll never forget the look at that young girl's face behind the counter either. I'll never be able to go back there again. 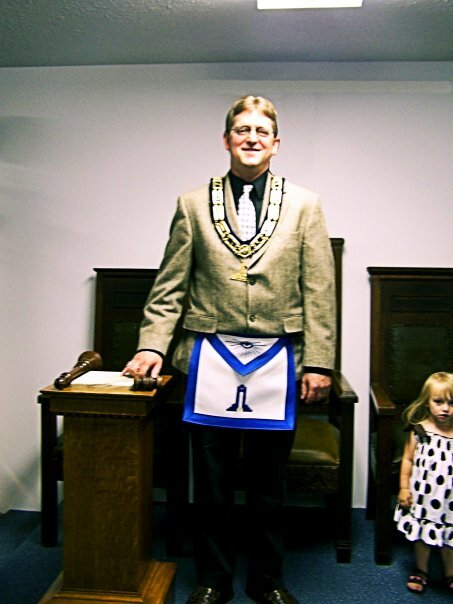 I'm about six months into a life term as Secretary of my lodge. Masons think that's funny, and there's a reason for it. Truth is, there aren't many members that really want to be the Secretary of the lodge. It's a big job. Those that will take it, usually wind up in the chair year after year, decade after decade, until one day, they are found, face down on their desk blotter clutching a copy of the Constitution and Bylaws in one hand, and a Notice of Petition Received in the other. The Secretary job is an important one without question. Master's come and go, but the Secretary remains year after year. He's responsible for managing the lodge, and he becomes what's called "institutional knowledge" after a few years behind the desk. He is responsible for everything from keeping the meeting minutes, to keeping the member records current. That includes all the addresses of the members, phone numbers, emails, and knowing that Charlie goes to Florida every winter, so for three months, he wants his lodge newsletter sent there. The official duties are rather extensive. Secretaries keep track of all the degree work going on, are responsible for knowing the rules of the Grand Lodge, and they quickly become the person the members look to for information. And the Secretary is usually the one that receives the call from the family when a member passes away (often late at night), and makes sure those records are updated, and works with the family to arrange the Masonic funeral rites. Secretaries also make sure the widows are taken care of long after their husbands have passed, and we keep track of what their needs may be. That's what we do. It's a big job, even in a small lodge. There are about a million forms. Every time a petition is received--there's a Grand Lodge form. Every time an address changes--there's a form. Every time a degree is done--there is a form. Then there is collecting the annual dues--lots of forms and stamps required there. It is a lot of work, but the salary package is excellent! It's basically the base salary times the number of years you've been a Mason. The base salary is $0. So in my case, the calculation is $0 x 6 years. Okay, so basically I get reimbursed for stamps. Oh, and Secretaries get a lot of credit too--they get credit for everything that goes wrong, and the Master gets credit for all that goes right. I loved that rule last year, but not so much this year. 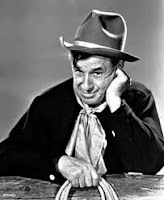 I miss my old job--I had that nice fedora, and that oak gavel, and a lovely perch on top of the dais in the East with the big chair under the "G". And my Secretary made all those brilliant things I thought up actually happen. You know, that same guy that talked me into being Secretary in the first place. Now I knew I was going somewhere with this, and I just remembered what it was. I couldn't have picked a better time to become a Secretary. After six months of doing things the old way, I went to a meeting last week and got training on "the new way." That was a relief to me since I've found forms that were sent to our Grand Lodge in 1920 that look exactly like the same forms I've been filling out since I was installed in June. Our Grand Lodge of Illinois is going hi-tech. Most of the forms are going away, and I'll be able to do most of my work online now. I'll be able to maintain member records myself instead of sending in all these forms. Our new system will even keep track of dues payments. I'm too embarrassed to admit how I'm doing it now--it doesn't involve stone tablets, but it's not much more sophisticated than that. My job is about to become much easier. I can even print off member rosters, address labels, and reports out of this new system. I'm very impressed. Got to give a lot of credit to our Grand Secretary, Frank Cline! I even overheard Frank say at that meeting he was able to update a record right from his smart phone when he ran into a Brother at a gas station with a new address. He updated that address right into the Grand Lodge database from the cashier counter at the gas station. I gotta get one of those smart phone thingies. My wife has one, but it seems to make her mad--something about Angry Birds. It's a great honor to be a lodge Secretary. 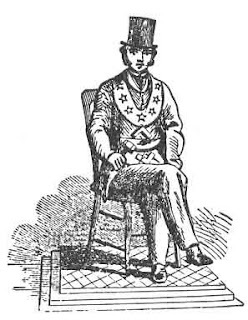 Much of the information I've gotten for my Famous American Freemasons books has come from the lodge Secretary where my famous Freemasons belonged. I've sent hundreds of letters and emails in search of this information. These Secretaries serve in lodges all over the United States--some are old, and some are very young. But they are never shy about being willing to dig through the dusty musty files in search of information for me. And they've come up with some very unique stories written in lodge minutes. They've even scanned and sent me pages from their minutes, or scanned copies of the signature of the famous Freemason in their roster books. Thanks to those efforts, some of the details in my books about these famous men you probably won't find anywhere else. It's an important job. 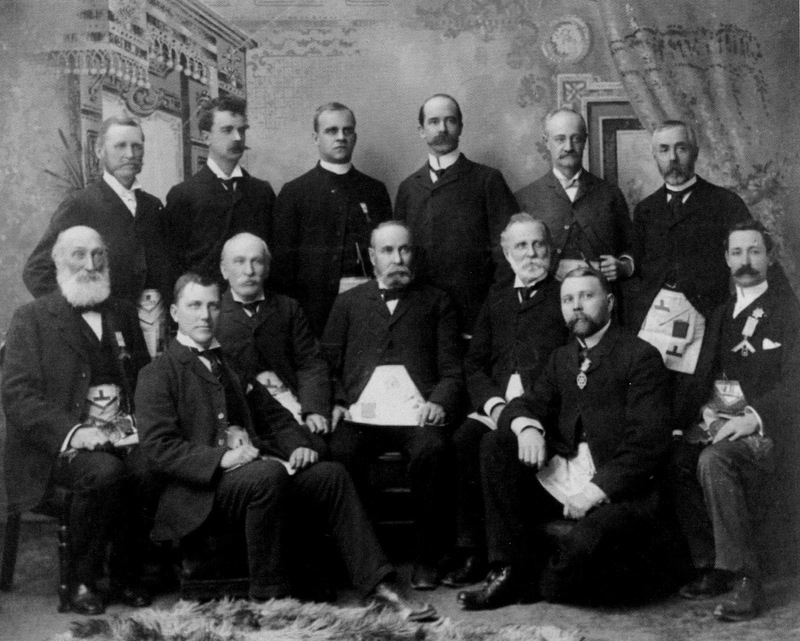 If you're asked to be the Lodge Secretary, don't do it unless you're willing to do it right, because part of your job is writing history for your community. And one day, those words you write might just mean the world to somebody that isn't even born yet. As a dad, I thought I'd help a few of you out with a few gift ideas. Believe it or not, we love the ties and sweaters and slippers, they're lovely, but how about trying something a little different this year. Dads are usually hard to buy for, because they don't require much. I know buying for my dad is impossible. After Christmas last year, I wrote a post about one of my favorite gifts--the Keurig Coffee Maker. I called it my "new favorite thing." Here it is a year later, and it's still my favorite thing. I use it every day and I still think it makes great coffee and tea. Actually I have two of them (wife gave me one, and daughter gave me one so I guess the hints worked well)--I took one to work. I've got a few favorites when it comes to the K-Cup varieties--my favorites include Donut House Extra Bold and Caribou Morning Blend. But Starbucks have come out with a few that are good too--including their popular Pike's Place brew. They've got something for any taste from very mild to "holy crap!" And the tea selections have gotten better over the past year too--Tazo is now available in K-Cups. 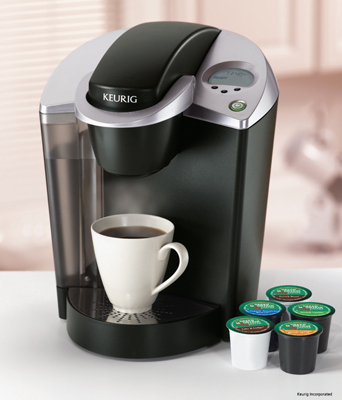 A Keurig would be at the top of my list if I was looking for a gift for a java junkie. Another nifty toy I never thought I'd like is a Nook. I thought I was a book-reading purist, and I'd miss the tactil experience of reading on an electronic screen. Guess what? I don't miss paper that much. I bought one about a year and half ago, and I'm seldom without it. So if dad likes to read, try that, and put a few books he'd like on it so he can try it out right away, perhaps the entire Todd E. Creason library would be a good thing to load on it. That would be my suggestion anyway. 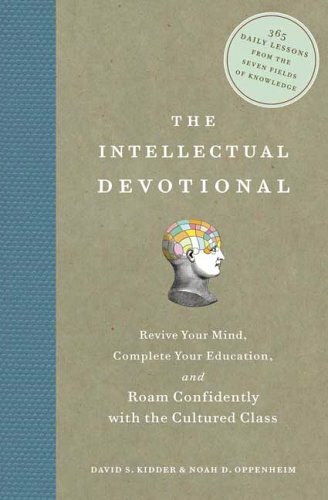 Once he starts reading it, getting used to it takes very little time, and the inability to leave the house without it sets in almost immediately--wallet, keys, phone, Nook. There's a couple choices to think about. Of course there's a Nook Color, which doesn't appeal to me much because I'm a book reader, and black and white is fine for what I do. But if dad reads a lot of magazines or comics, that color version is very nice. 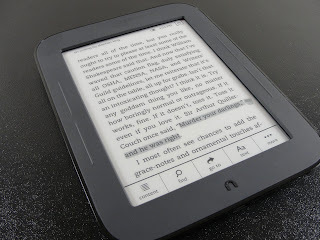 And there's the new black and white reader with a touch screen (I have the old one)--the Nook Simple Touch. If dad just reads books, that's the one you should get. I am very, very tempted by that one (the guy at Barnes & Noble let me borrow one during my visit the other day.) I'll probably wind up with one eventually, but I still like the one I have. You know another thing dad might like--a nice hat. Delmonico Hatter has a great selection, and I highly recommend them as an online seller. Their service in impeccible, and they carry everything from western hats, to fedoras, Stetsons to Tilleys. I'd recommend a nice wool winter hat--I've been wearing a Tilley winter hat for about a month now, and I just love it. It's toasty warm, and very comfortable. There are a number of different models, find one you think dad would like, and get it for him. The bonus is you can do this without leaving the house--they ship right to your door, and usually the shipping is free. And if you don't know his hat size, there's an easy way to get it. Find a hat he wears all the time. If it's fitted (like a western hat or a higher end ball cap) the size will be inside the rim. If it's one of those "one size fits all" adjustable numbers, borrow moms sewing tape measure and measure around the inside rim of the hat--there is a chart that will convert that inch measurement to hat size. Easy huh? 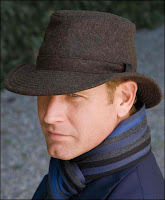 And if you'd like to buy your favorite author a hat, that's a 7 3/8. I don't know how many times I've opened with this story over the years, but it's one of my favorites. We all know that blowhard that never stops bragging about the things he does. How much money he makes. How many good works he does. How much he donates to charity. They are all over the internet. He's the guy the spends more time talking about the volunteer work he does than actually doing any. I grew up being taught that true charity was something you didn't brag about. It was something that should be done quietly because it's not really about you. It's one thing to bring attention to an important cause (I do that all the time), but it is quite another to use that cause to advertise what a wonderful person you are. Every year around this time, we read about gold coins found in Salvation Army buckets. We read about some anonymous secret Santa that gives away thousands of dollars, a hundred dollar bill at a time, to needy people. We don't know who those people are because they don't do it for themselves, they do those things because its something they believe in. I think that's what I like about Freemasonry--the fact much of the work Fremasons do nobody ever sees. That's the true spirit of giving--not that jerk that posts on his Facebook "Hope you all enjoyed the football game while I just spent three hours serving meals to the homeless." Oh, brother. 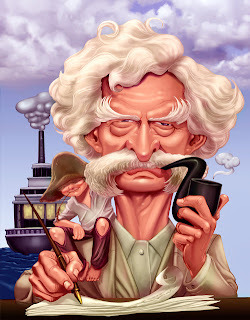 Yesterday marked what would have been Mark Twain's 176th birthday. It wouldn't take a genius to figure out that he's one of my favorite authors as much as I quote him on The Midnight Freemason. 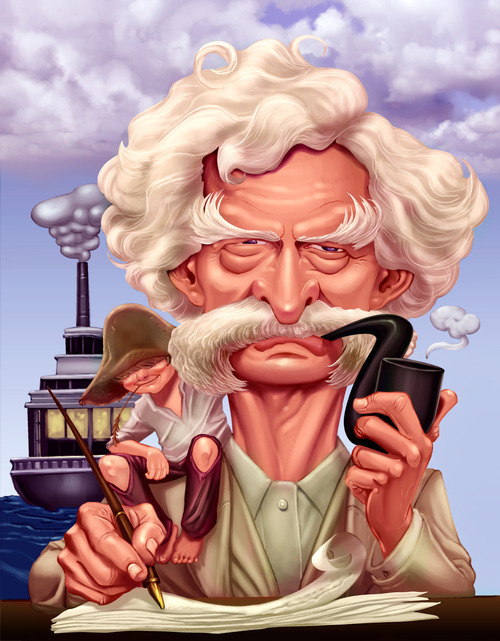 There are three great sources of American wisdom when it comes to finding quotes--there's Mark Twain, Benjamin Franklin, and Will Rogers. Those are my "go-to" guys when I need a good one. And of course, all three of those men were Freemasons.